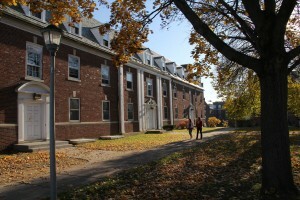 Sideview of Brubacher Hall, one of two first-year residences. It’s been over a month since my last blog and I miss it dearly, so I’m back! As a first-year student, it’s just about certain that you’re going to have to live with someone. For a lot of us, it was someone we didn’t know until meeting them in August. Although that may not be the case for every set of roommates, you still need to learn how to get along with living with someone new. That’s where I come in. No, not to live with you, but to give you some tips on how to roommate! Get to know each other. You do not necessarily need to be friends with your roommate (although it’s recommended), you really should get to know them. Ask each other about likes/dislikes, hobbies, favorite color, SnapChat names, etc. Go to events on campus together. It’s really important to know something about the person with whom you’ll be living with over the next nine (ish) months. Learn each others’ schedules. This probably sounds creepy and stalker-ish but hear me out. You both need to wake up, shower (hopefully), get dressed, study, etc. Knowing each others’ schedules will ensure that you have time and can plan accordingly for your daily routines and activities! Take that paper seriously. Your RA will give you a “Roommate Evaluation” form in the beginning of the semester. Those really set some standards for each roommate, which is good so you can try to avoid problems that could arise in the future. Be considerate. This is without a doubt, one of the most important things I’ll ever write. Be considerate of each other. This past semester, I had a roommate who went to bed relatively early. Meanwhile I was always up until around 3:30 every morning (don’t do that). Him and I are best friends because he didn’t kill me when I was up that late and I didn’t kill him when he woke up a few hours later and made coffee every morning. Just be considerate of each other and you two will be all set. Communicate. Communicate with each other. Once you two are on a level where you can say just about anything to each other, you’re golden. If your roommate is doing something that bothers you, tell them. If you need to get a project done because you procrastinated for three weeks and want a little peace and quiet, let them know. 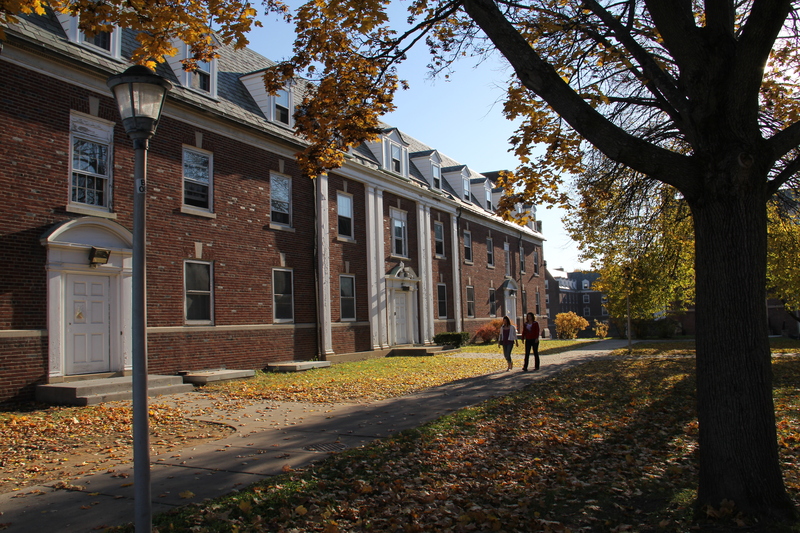 Whatever room residence life assigns to you will become your home, so don’t be afraid to ask your roommate for privacy or respect or anything. This is my first (of hopefully many) blogs in an attempt to clear some of the butterflies that come with arriving on campus for the first time. We’ve all been there and now it’s time for us to help the future. I hope you enjoyed reading, my name is Michael Aurrichio, and I’m back.